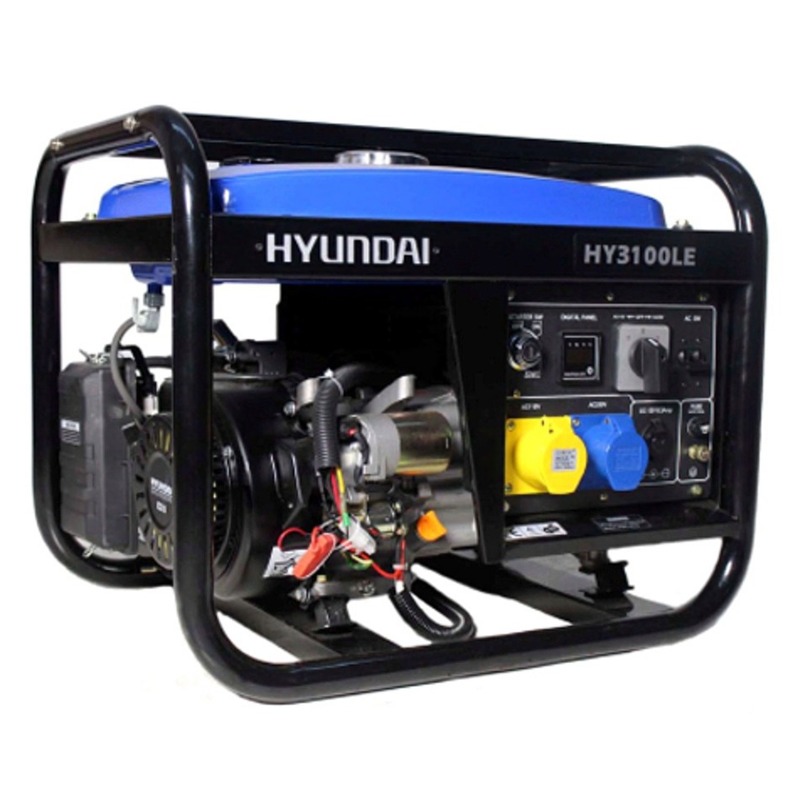 A comprehensive open frame petrol generator which is reliable, portable and cost-effective. Built in a rugged and lightweight full open frame, with an extra-large exhaust silencer to keep noise levels to a minimum. Produces a maximum output of 2.8kW, which is more than enough power to keep your tools and equipment powered, with electric key start and recoil pull starting methods. It's fitted with a reliable AVR unit for stable power output and smooth supply to protect sensitive equipment. Powered by a 7hp 4-stroke OHV engine and equipped with a large 15L fuel tank, this petrol generator is designed for long running. Weighing just 53kg, the HY3100LE is also a lightweight and portable generator, ideal for commercial and industrial users who need a generator which is easy to transport between jobs. With 230v and 110v outputs, this generator performs best within the commercial building trade, hire centres and professional garages.